Japan’s Mitsubishi Materials made a landmark apology to US prisoners of war forced to work in its mines during World War II, seven decades after the conflict. 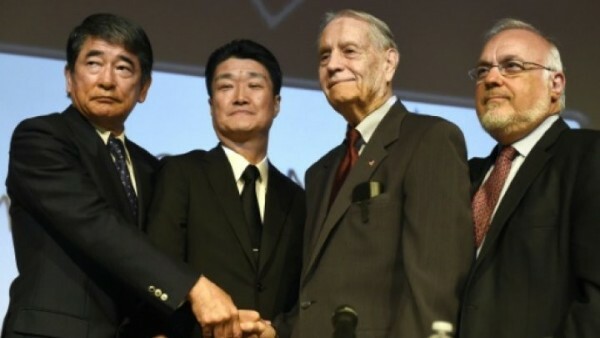 “For 70 years since the war ended, the prisoners of war who worked for these Japanese companies have asked for something very simple, they asked for an apology,” he said. And now, if Everyone simply apologized nicely to Everyone for everything bad they did against their workers, ‘what a wonderful world it would be’. WONDER when all the people who manufactured ‘bomblets’ and scattered them in fields where children and animals play (Russians put them in small toys too) , and then don’t help clean them up after their glorious battles, will apologize for all the suffering those small things cause to whole lifetimes. At least we apologized. Why dont US apolgize to Japanese civilians for bombing. ridiculous. Not sure anyone ever apologized for bombing in a War … but some things were addressed.